As always with Sporting, there were plenty of entrances and exits throughout the transfer window, so here’s a breakdown of all of those who left the Alvalade albeit temporarily or permanently. Maurício to Lazio (€2,600,000): A transfer that was essentially made in January but was made permanent by Lazio over the summer adding a little bit extra to Sporting’s transfer budget. Cédric Soares to Southampton (€6,500,000): Considering the right fullback had only a year left on his contract this wasn’t a bad fee and Cédric has already made a solid start to life in England. However, had his contract been sorted out sooner Sporting could have kept or got a far greater fee for the Portugal international. Lewis Enoh to Lokeren (€350,000): Not a bad profit for a player who cost only a tenth of that when brought in Sourense back in January 2014. The Cameroonian performed adequately enough for the B team and demonstrated that Sporting can make profit from their second string players. Nuno Reis to Metz (free): It’s sad to see Nuno Reis not make it at Sporting after spending so long with the club and being so impressive at youth level. A move to Metz though may give his career a kickstart. José Postiga to Rio Ave (free): Unable to agree to a new contract with Sporting the young striker has moved to Rio Ave on a free transfer. Postiga has yet to play for his new club as he faces some stiff competition to become a first pick Primeira Liga striker. André Geraldes to Belenenses (loan): Geraldes has rejoined the club where he so impressed two seasons ago. Under Ricardo Sá Pinto the fullback will hopefully return to Sporting for next season ready to slot into the first team. Liu Yiming to Pinhalnovense (free): The young Chinese defender was unable to break in the B team so has been given a free transfer to join 3 of his compatriots at Pinhalnovense. Some regular first team football is exactly what he needs at this time in his career. Lisandro Semedo to Reading (free): A frustrating situation in which Semedo and Sporting were unable to come to terms with a new contract for the promising winger. Joining Championship side Reading is an interesting choice for the player. José Marinheiro to Coruchense (free): The young goalkeeper has been released from Sporting and has joined up with GD Coruchense in the Campeonato Nacional Seniores Série G.
Naby Sarr to Charlton Athletic (€2,000,000): Sporting did well to double their money after selling Naby Sarr after just one season. The physically excellent but error-prone centre-back was ousted by Tobias Figueiredo, Paulo Oliveira and later Ewerton last season. He will face a very different challenge in the Championship. Miguel Lopes to Granada (loan): Another move for Miguel Lopes who is still suffering from the high wages he was given when he joined the club under Godinho Lopes. The right-back had a solid run in the team last season under Marco Silva but Jorge Jesus seems to prefer João Pereira and Ricardo Esgaio. Héldon Ramos to Rio Ave (loan): Still unable to break into the first team at Sporting, Héldon will be joining Rio Ave for the remainder of the season. Simeon Slavchev to Apollon Limassol (loan): Another player unable to find a way into Jorge Jesus’ plans. The Bulgarian midfielder still seems to be struggling to adapt to Portuguese football. Betinho to Belenenses (undisclosed): It’s a shame that Betinho never made it into the Sporting team after having been so promising at youth level. A wasted year last season with Brentford this move to Belenenses could be a huge boost for the young striker’s career. 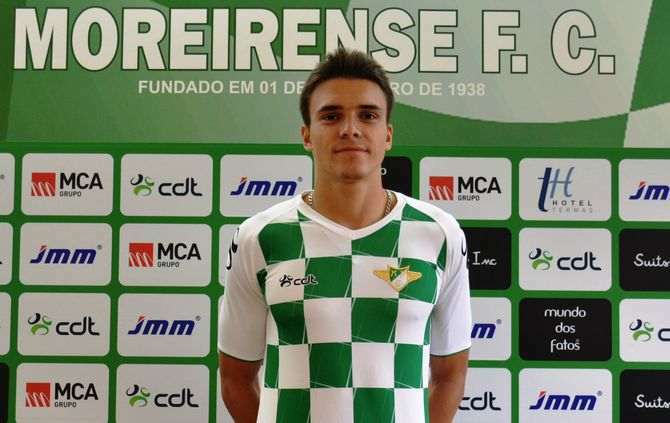 João Palhinha to Moreirense (loan): João Palhinha seemed to impress Jorge Jesus and was quickly integrated into first team training during pre-season. A loan to Moreirense could give the midfielder some much needed Primeira Liga experience to develop even further. Will hopefully come back better and stronger. Wallyson Mallmann to OGC Nice (loan): Surprisingly, Nice have an option to buy Mallmann at the end of this loan. 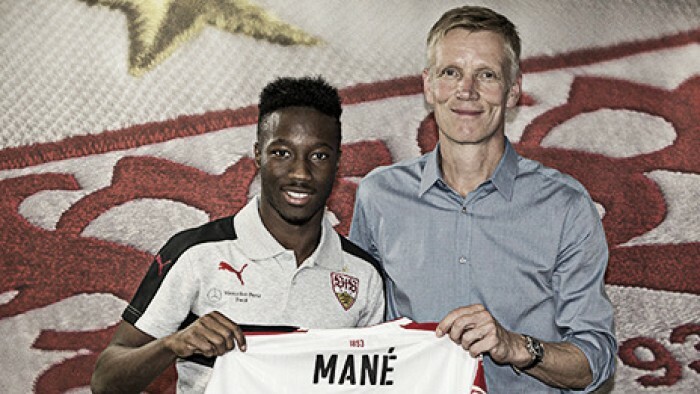 Wallyson looked like he may have been likely for a first team berth this season but instead will be playing in Ligue 1. If the Brazilian midfielder does return to Sporting next season he will hopefully be able to fight his way into the first team. Rúben Semedo to Vitória de Setúbal (loan): Another play who looked like he had convinced Jorge Jesus of his talents but just fell short of being integrated into the first team. Semedo did play in the Supertaça before being loan to Setúbal where he will hopefully develop like João Mário did there a few seasons ago. Mica Pinto to Recreativo de Huelva (loan): One of the trio of players loan to Recreativo managed by former B team manager José Dominguez. The left-back is in need of a loan move out after so long playing B team football. Luís Ribeiro to Recreativo de Huelva (loan): Similar to Mica Pinto in as much as he has perhaps played too much B team football and needs a move to develop further. Kikas to Recreativo de Huelva (loan): A different challenge for Kikas after his season in Romania last year. It’s probably only a matter of time before he departs the club on a permanent basis. Michaël Ciani to Espanyol (free): Well, that was quick. Ciani came, saw and left. Sporting could still profit from the French defender as they retain a small amount of his rights for a future transfer. Diego Capel to Genoa (€1,300,000): Sad to see the Spanish winger leave after such a long stint at the club but after being unable to feature for Marco Silva often last season coupled with his high wages the writing was on the wall. The transfer fee is low for a player of his quality but Sporting will be happy to free up space on the wage bill for new contracts. Best of luck to Diego Capel! 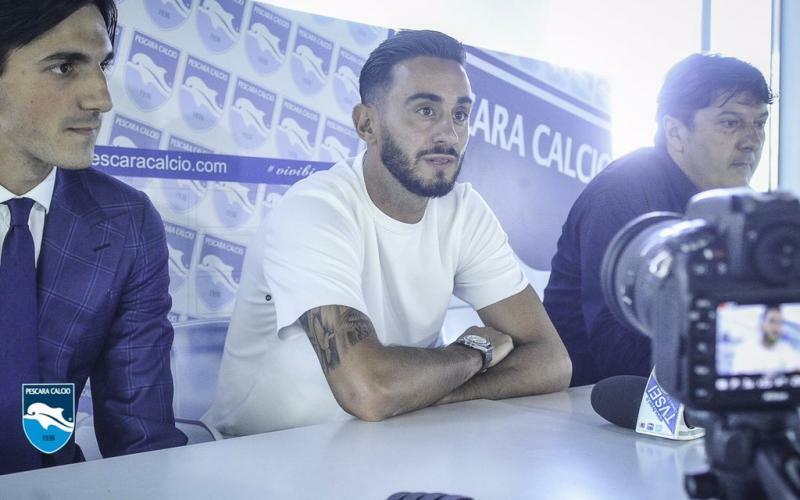 Iuri Medeiros to Moreirense (loan): Iuri Medeiros impressed on loan at Arouca last season but didn’t impress Jesus enough, the manager preferring the young Gelson Martins over him. There’s still plenty of time for the exiting winger though and hopefully this loan deal helps. Shikabala to Zamalek (€650,000): FINALLY! Shikabala has been a disaster of transfer. It was always a risky move but regardless, nothing went well. After so long AWOL, Shikabala returns to Zamalek for a profit. Not sure how Bruno de Carvalho managed that one. Filipe Chaby to União da Madeira (loan): Chaby helped União da Madeira get promoted to the Primeira Liga and now he can help them stay there. This is a step up un level that could be key in the midfielder’s development. Diego Rubio to Real Valladolid (free): An excellent signing from the perspective of Valladolid. The Chilean was in fantastic form for the B team when he returned from Norway last season. Rubio may well go on to score plenty of goals for the Spanish side. Ramy Rabia to Al Ahly (€750,000): Rabia returns to Al Ahly for about the same fee as when was signed, the defender just wasn’t able to make an impression in the first team with Tobias Figueiredo ahead of him in the pecking order. Wilson Eduardo to Braga (free): Another player it’s sad to see go. Wilson Eduardo has plenty to offer and will undoubtably do well for Braga. A good move for the player and for Braga though Sporting will be disappointed not to get a transfer fee they retain rights to the player for any future transfers. Jorge Santos to Salgueiros (free): Gazela just wasn’t able to make the step up to Sporting B’s level of football after his mve last season as was loaned to Salgueiros last season. Jorge Santos has now moved there on a permanent basis. There could be loan deals for Rubén Semedo, Wallyson Mallmann, João Palhinha, Mica Pinto, Luís Ribeiro and Kikas should all the reports be believed. One move that is official so far is João Palhinha’s loan move to Moreirense where he looks to be joining teammate Iuri Medeiros. The move should prove a good challenge for Palhinha to play in the Primeira Liga after spending time with the B team. Wallyson Mallmann is set move to France this season, joining with OGC Nice and should be another good step up from B team football. Rubén Semedo looks set to move somewhere much closer, this time to Vitória de Setúbal, after spending last season on loan in Reus in Spain. Finally, Mica Pinto, Luís Ribeiro and Kikas could be set to join former B team manager José Dominguez in Spain. Dominguez took over at Recreativo de Huelva back in March with the club relegated to the Segunda División B where they will play in Group 4 with outer Southern Spanish teams. Cypriot club AEL Limassol have taken Zezinho on loan for the rest of the season. The 21-year old midfielder spent last season on loan at Greek club Veria FC. Sporting have not including a clause for Limassol to buy the player after the loan. O Jogo seem to think the protracted transfer for Egyptian centre-back Ramy Rabia may be finally near to an end. The 21-year old from Al-Ahly is set to sign a 5-year deal. No official word on the transfer just yet. Rui Patrício, William Carvalho and Islam Slimani have all returned to training after their extended breaks following the World Cup. The trio will join up with Sporting’s training camp in the Netherlands. Not everyone will be going to the camp; Vítor Silva, Salim Cissé, Mica Pinto and Rúben Semedo are all missing despite a few other youngsters joining up. 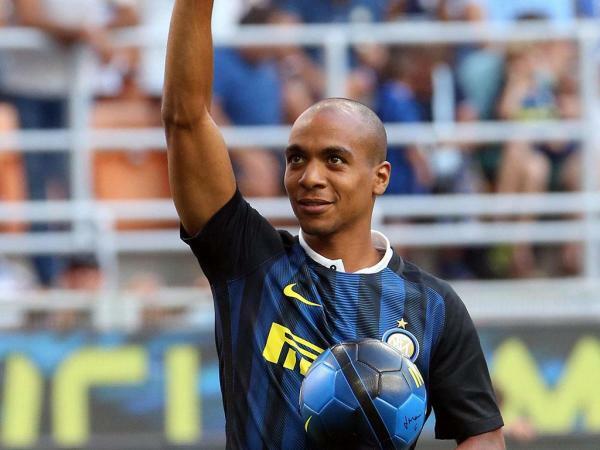 Speculation will mount for the departure of Vítor Silva but the other 3 are likely to be loan moves if anything. Abel’s Sporting B looked to try and get back to winning ways on their trip to in-form Chaves. Things started out badly as early on in the game Cape Verdean forward Kuca ghosted into the penalty area to slot easily past Luís Ribeiro. The home side were firmly in control for the opening periods of the game but the tide started to turn as Sporting B got more of the ball. Sporting B found the equaliser after a lovely goal from Iuri Medeiros. The winger beat one played before paying off to Mica Pinto. Mica returned the ball for Medeiros to calmly slot home in the 34th minute. There was concern from Sproting in the 58th minute when Mica Pinto was forced off on a stretcher after landing awkwardly on his right leg. Mica’s injury looked potentially very serious and he was replaced by Lewis Enoh. Sporting then took the lead 10 minutes later when Ricardo Esgaio broke free from right-back and slotted cooly home. Chaves almost equalised in the 80th minute when a good cross from Nélson Lenho found Bruno Moreira’s header that went just wide of Ribeiro’s goal. Ousmane Dramé finished the game off in the 87th minute after skilfully controlling a long ball, beating one defender, beating the goalkeeper and tapping into an empty net. Miguel Ângelo pulled one back for Chaves in the first minute of stoppage time when he tapped into an empty goal despite the fact it appeared that Luís Ribeiro was fouled. Deep in to added time of stoppage time Chaves went down to 10 men when Bruno Magalhães brought down substitute Lewis Enoh as Sporting countered. Sporting B ran out eventual winners after an edgy last few minutes to finally return to winning ways. Sporting B returned to winning ways with a 3-2 win over Portimonense to bring them back up to 6th place in the Segunda Liga. Ricardo Esgaio, Filipe Chaby and Iuri Medeiros all getting goals for Abel Ferreira’s side. The B team manager had a few first team players to chose from with Gérson Magrão and Iván Piris both starting to regain match fitness. It took 12 minutes for Sporting to take the lead when good play from Filipe Chaby and Ricardo Esgaio saw the prolific winger grab his 11th goal of the season. Lewis Enoh’s turbulent to his Sporting career continued as he was again at fault for conceding a penalty, this time with a push on Vítor Moreno. Ricardo Pessoa stepped up to level the scoring from the penalty spot in the 24th minute. There is concern for Abel and the staff as minutes later Mica Pinto was forced off injured resulting in Sambinha coming on in his place with Hugo Sousa filling in at left-back. Portimonense took the lead just before half-time when Portimonense midfielder Mica Silva with a long range strike to beat Mickaël Meira. It looked like the visitors would go into half-time in the lead but Iván Piris found Filipe Chaby who made it 2-2 before the break. Sporting came out quickly in the second half and Iuri Medeiros scored a beautiful goal to put Sporting ahead. After that the home team were more comfortable until a few Portimonense changes put Lázaro Oliveira’s side on the front foot. To help keep things tight defensively in the dying stages of the game Abel handed a debut to 18-year old midfielder João Palhinha as he came on for a substitute for Iuri Medeiros. Sporting held out for what was a great result against strong opponents. Sporting B will next travel to face Aves next week. Sporting B made a fine start to 2014 with a 1-0 victory over Beira-Mar with the goal coming from Wallyson Mallmann. Abel Ferreira was able to restore Michael Pinto in the first eleven with the left-back having recovered from injury problems. He took his place in defence ahead of Hugo Sousa. Sporting made a strong start to the first half and were given their reward after 26 minutes when Wallyson Mallmann fired past goalkeeper Rui Rêgo. Beira-Mar had a great chance to equalise before half-time but for the intervention of Mickaël Meira, who once again started ahead of Luís Ribeiro. The home side had the better of the second half and should have equalised but were unable to find a way through thanks in part to Mickaël Meira and some poor finishing. The win is now Sporting B’s third in a row and keeps them abreast with FC Porto B in 4th position just 2 points behind Portimonense in 1st. Sporting have released information on the current status of 3 currently injured Sporting B players who will miss out on tonight’s game against Desportivo das Aves. Fabrice Fokobo has just started to return to training after injury but unfortunately not in time for the Aves game. Betinho is slightly behind Fokobo in his return and could be a doubt also for the game away to Tondela. Salim Cissé looks set to lead the line for the B team once again. Meanwhile left-back Mica Pinto is facing a much longer lay off and may be out of action for up to 6 weeks. This likely has the implication of delaying Welder or Iván Piris’ immediate promotion to the first team. Piris especially had been thought to have been close to making the first team’s squad for the Braga game this week. The injuries see youngsters Luka Stojanović, Wallyson Mallmann, and Wilson Manafá all selected in Abel Ferreira’s provisional B team squad. The inclusion of Carlos Mané in the B team squad (despite training with the first team recently) for tonight suggests that Diogo Salomão could be close to making a return to the first team shortly. Well, that last post sure had a lot of outgoing. Now let’s see who arrived at the club. Leonardo Jardim: Well, we have to start with the manager. There were some who wanted Jesualdo Ferreira to stay in charge of Sporting after he rescued what was a disastrous season but injecting some youth into the team. Bruno de Carvalho however wanted former Braga and Olympiacos manager, Leonardo Jardim. So far, it is looking like an excellent recruitment but only time will tell. Jefferson from Estoril (€400,000): After the sale of Emiliano Insúa back in January and after the loan finished of the distinctly average Joãozinho, Sporting were after a new left-back. Jefferson was one of Estoril’s best players as he helped the club have one of its best ever seasons. From early signs so far it seems that Sporting have grabbed quite the bargain. Seejou King from Nordsjaelland (undisclosed): Seejou King originally arrived on loan from the Danish club to compete in the B team but impressed enough to warrant making contract permanent. There is no word on any transfer fee but with the left-back having only one year of his contract with his former club remaining the fee would likely have been a compensatory one. Sambinha from 1º Dezembro (undisclosed): A versatile player who impressed enough to gain a contract from Sporting. Sambinha is likely to be spending most of his time in Sporting B and indeed was part of the team that won the Taça da Honra earlier in pre-season. Fredy Montero from Seattle Sounders (loan): Initially a loan move but more than likely to be turned into a transfer with the player already agreeing terms to stay at the club for longer. No word yet on what the future transfer fee might be but should he continue to play as he has started this season (5 goals in the opening 3 games) then any fee will be worth it. Hugo Sousa (free): Hugo Sousa had been playing in Cyprus but left his club AE Paphos due to unpaid wages. The young central defender has signed a 5-year deal with Sporting and will initially start life in the B team but may well be cover for the central defenders in the first team as the season goes on. Maurício from Sport Recife (€330,000): I was unable to find an official transfer fee for Maurício but the player did have a buy out clause of €330k at Sport and so that figure would have to be the maximum. Rumour has it that with the player’s intention to leave and his relatively short remaining contract that Bruno de Carvalho did manage to get an even better deal for the player. So far he seems to have settled in nicely and may well end up much better than Xandão at the very last. Indeed, Maurício scored on the first day of the season against Arouca – a great way to mark your debut. Salim Cissé from Académica (€300,000): Signed as back up to Fredy Montero from Académica (who will receive 10% of any future transfer fee). Cissé is likely to be frequently playing for the B team to keep up his match fitness as he tries to become the number one back-up ahead of another new signing in Islam Slimani. 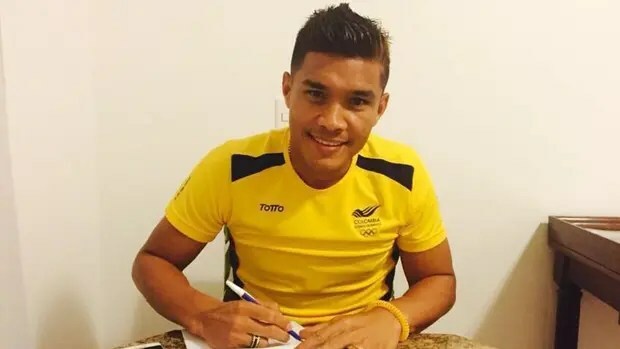 Welder from Palmeiras (loan): The 22-year old Brazilian signs on loan from Palmeiras. No word of any deals for future fees for the player. Welder can play either his preferred right-back role or at left-back as well. Gerson Magrão from Esporte Clube Primavera (free): Magrão has spent the last few years on loan at Santos and also Figueirense after a spell with Dynamo Kiev. The 28-year old midfielder has plenty of experience to add to Sporting although his debut didn’t go so well. He was replaced by André Martins midway through the first-half having failed to make an impact on the game. He can only improve from there. Islam Slimani from CR Belouizdad (Undisclosed): Forward Slimani will join Fredy Montero and Salim Cissé as our set of strikers for the forthcoming season. Slimani has an excellent scoring record in his native Algeria but we are yet to see whether that will convert to Portugal. No word on the fee paid for the player. Tiziu from Corinthians (free): Promising youngster who had at one point been hugely rated in Brazil before his exceptional development stalled. At just 19-years of age there is still plenty of time for the player to grow as he will be giving Betinho competition leading the line of the B team. Iván Piris from São Paulo (undisclosed): The Paraguayan right-back had spent last year on loan at AS Roma but the Italian club did not take up the option to sign him. Indeed, Sporting have yet to announce whether the signing of Piris is a similar deal to Roma’s or a full transfer but it is perhaps most likely that it will start of initially as a loan. Perhaps the best bit of Piris’ transfer is that the player had apparently been on Benfica’s radar. Vítor from Paços de Ferreira (undisclosed): An unexpected last minute signing but Vítor has plenty of experience and should add depth to midfield. Vítor had been linked with Middlesborough, Hull City and other English clubs but eventually ended up at Sporting for an, as of yet, undisclosed fee. It seems that super-agent Jorge Mendes was instrumental in the deal. Rumour has the deal could be worth up to €600,000. As well as the new signings, perhaps the best aspect of Bruno de Carvalho’s first summer as Sporting president was the long term contracts handed out to some incredibly promising players. With the early departures of several youth prospects in recent years (João Carlos, Agostinho Cá, Edgar Ié, etc.) this should help ensure Sporting profit from what they help cultivate. So. All in all a successful summer for Sporting. Bruno de Carvalho is quickly righting the many wrongs of the Godinho era and it seems that the club have not only made a tidy profit but with various clauses in contracts will stand to make future profits as well. What more could we ask for at this stage?